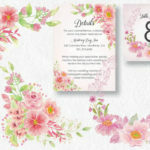 Soft and delicate watercolor bundle in pinks: 11 pre-made clip art items plus 2 patterns. 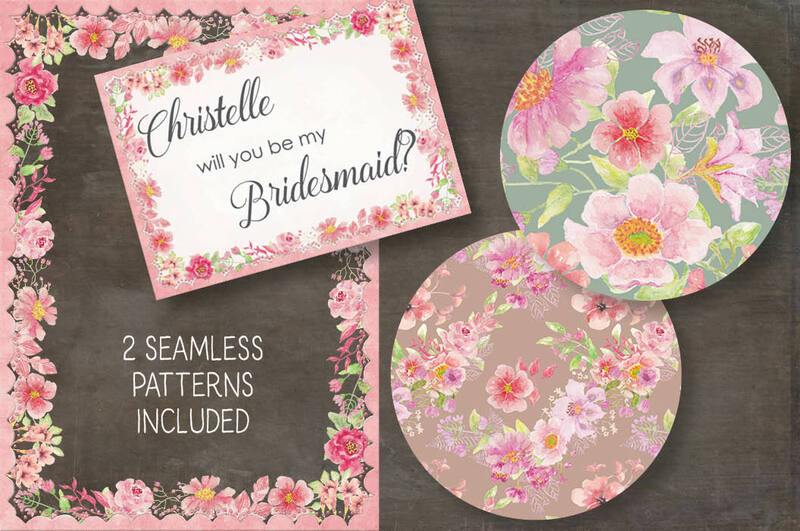 Everything you need to make gorgeous wedding and other stationery in a flash! 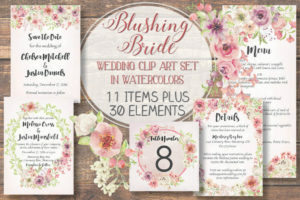 This watercolor clip art bundle is designed with delicate pink flowers and soft foliage. 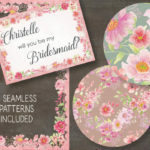 The bundle includes 11 pre-made clip art items, plus 2 patterns. – 1 oval card / page template. All wreaths measures 10 X 10 inches (3000 X 3000 pixels). Sprays 4 and 5 measure 7 X 4 inches (2100 X 1200 pixels). Both the oval template and the border measure 7.5 X 10.5 inches (2250 X 3150 pixels). This size reduces exactly to a 5 X 7 inch card. Part 1 contains wreaths 1 and 2 (JPEG and PNG) – 4 files. Part 2 contains sprays 1 – 3 (JPEG and PNG) – 6 files. 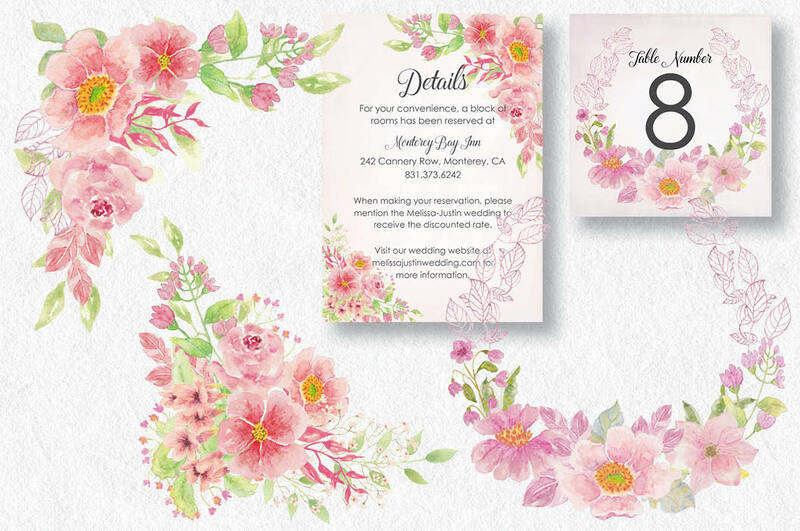 Part 3 contains sprays 4 and 5, the oval template and the card / page border (JPEG and PNG) – 8 files. Part 4 contains wreaths 3 and 4 (JPEG and PNG) plus pattern 2 (JPEG and PNG) – 6 files. Part 5 contains pattern 1 (JPEG and PNG) – 2 files.